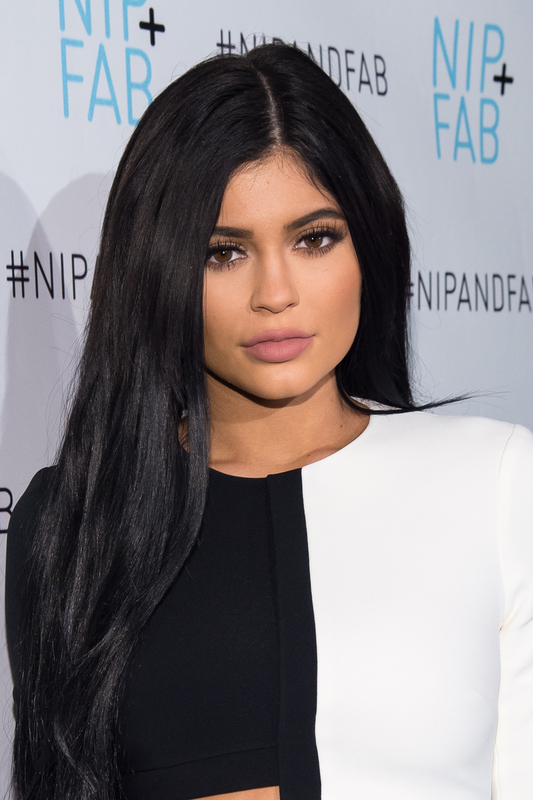 Kylie Jenner, fashion queen, has been slaying the Instagram style game lately. From her adorable cozy sweaters to her seriously envy-worthy dresses, her Instagram is always the first place I look for style inspiration from King Kylie. When she posted a picture of some amazing new outerwear on Thursday night, it left me wondering where to buy Jenner's hooded fur vest from Instagram. The vest in question is absolutely gorgeous. It's an oversized grey and white fur vest with the most amazing big hood, which she naturally wore up for dramatic effect. Judging by Jenner's other clothing, hers is probably real fur. I'm no expert (I literally own no real fur), but I think it's silver fox fur. I could be totally wrong here, though, but does it really matter? I just want to figure out how to copy Jenner's adorable vest — faux is good for me! She paired the look with what looks like a white leather jacket with black cuffs and zippers, leather leggings and lace-up black ankle boots with a chunky heel. I love that she kept the rest of her look simple, because it really let the fur shine. And although you can see Jenner's face, I have to bet her makeup looked just as good as usual. Here's a better look at the hood and the shade of the front of the vest. Considering how great this looks on Kylie, I had to figure out where to buy a copy of her vest. I couldn't find an exact match for Jenner's, but this vest from Shopbop seems like something she would totally scoop up and incorporate into her wardrobe. Here are some other more affordable and chic look-alikes to shop. This gorgeous ASOS coat is the closest match I could find, and the price tag is pretty good, too! Despite the fact that it doesn't have a hood, I'm dying over this amazing faux fur vest and its equally amazing sale price. If you're looking for a sporty alternative to Jenner's vest, I love this zippered one. I love how fluffy and big the hood on this faux vest is. Not an exact color match, but the shape of this BCBGeneration vest reminds me so much of Jenner's. It's amazing. Even if you dob't want a vest as big and bold as Jenner's, these alternatives will serve you well for the rest of the winter.